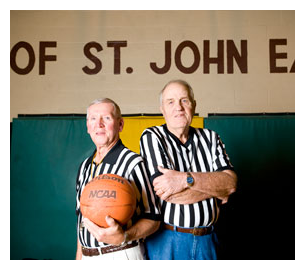 The St. John's Boys Basketball Program was founded over 40 years ago by Bo Yingling and Larry Baker. The program, thanks to the methodologies put in place by Larry and Bo, works hard to bring out the best in our kids and to help kids succeed. "Our goal is to teach good sportsmanship and give every child an equal opportunity to play." "One of the reasons we're so popular is we get everyone involved."